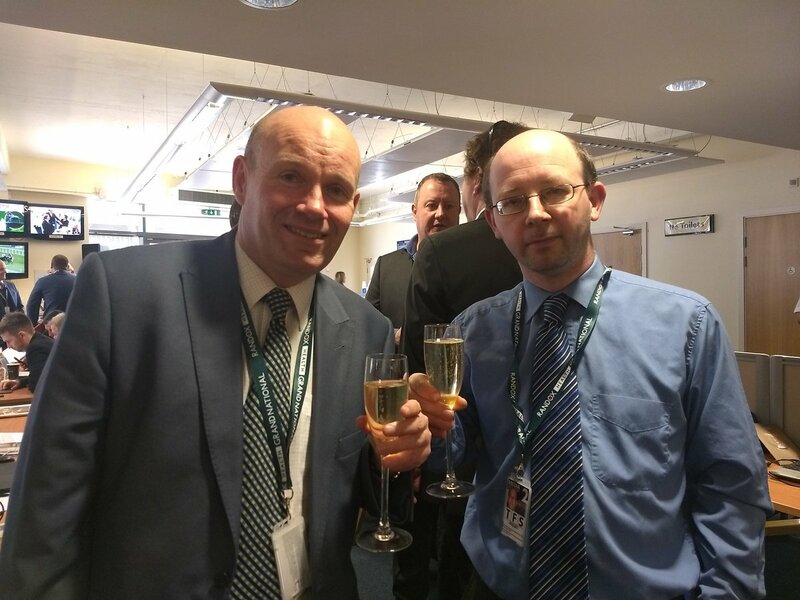 Being in the press room on Saturday morning and after my 10.30 appearance on Love Sport Radio in London, a speech was given by the Managing Director of sponsor Randox Health, Dr Peter Fitzgerald ,who after doing his thing then cracked open a few bottles of Champagne for the assembled press and media as a thank you for covering this year’s renewal, not wanting to make his gesture go unappreciated i duly had a nice flute of the bubbles before getting my head stuck into the form. Over the years many horses have come to the Grand National meeting to defend the race they won the previous year, Native Upmanship and Moscow Flyer are two that I remember seeing as they both landed doubles in the Melling Chase but to be at this village in Merseyside around six miles north of Liverpool city centre on Saturday afternoon was to be part of sporting history in its absolute rawest. 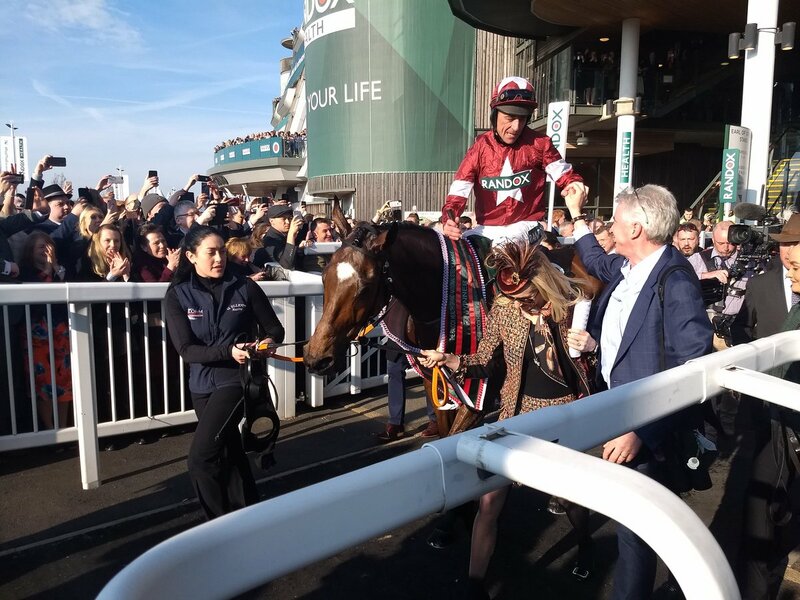 For weeks since Cheltenham many were wondering if Tiger Roll could be the one to do what many have failed to do and keep his Grand National crown, he already has the Freedom of Cheltenham in all but name after recording win number four at the Festival but to take another National, it can’t be done can it? 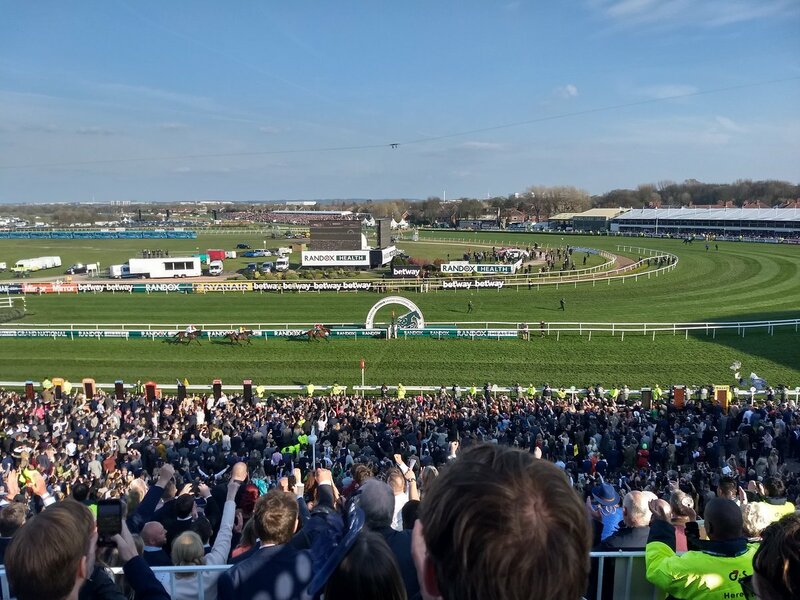 Well on a glorious Saturday afternoon at a time when many people are either leaving work, leaving other sporting venues or simply getting tea ready, they tuned in to television or radio to get the next chapter in Grand National history and boy did this one have a tale to be told! Not since Kauto Star at Haydock in 2011 have I shouted a horse home, willing him to get to that winning line like everything else in the world didn’t matter but the steering of Davy Russell and the training of him by Gordon Elliot made sure that defeat was never an option. On television the race seems to take a long time as it unravels with the main players coming forward at the business end and the fallers and bit part players making good their exit from the side doors of the stage but watching from up above through the bins it just whizzed by and before you know it all the preparation and worry that happens each and every National was gone, not to be seen again until next year. Saturday was my first return to the Grand National Day itself since 2001, the infamous Red Marauder one and for my second one i see this occur, just shows that being selective can be a good thing in life. Of course we can’t ignore the fact that the festival did contain equine fatalities, it’s something which always brings about a mixture of emotional and rational responses, for owners, trainers and stable staff who came with high expectations they ended up leaving with tears and shattered dreams in the cruellest of ways. But for those who say racing is cruel i want it to be known that Saturday had twelve Equine Welfare and Integrity Officers, three Veterinary Officers and ten Veterinary Surgeons on course so the welfare of these wonderful animals was always at the forefront of the sport. Many congratulations to Davy Russell, Gordon Elliot and Gigginstown Stud for getting another Grand National, while its anyone’s guess as to can the Tiger make it three, it would be simply heavenly if he could. “I bet that up in the great paddock in the sky on Saturday that Ginger and Rummy were looking down with a big smile over what the current chapter of The People’s Race had been written down”.